We do not accept deposits until Kids are on born! ALL 2019 Kids are gone! Please see our sales policy page for more information! All kids can be registered with ADGA and AGS. Polled, Blue eyes, Lovely Moon spots! Absolutely Stunning Doe! Great Milker! Oh, and those kids of hers, they full of FLASH! A Beautiful, Loved and Spoiled Buck! 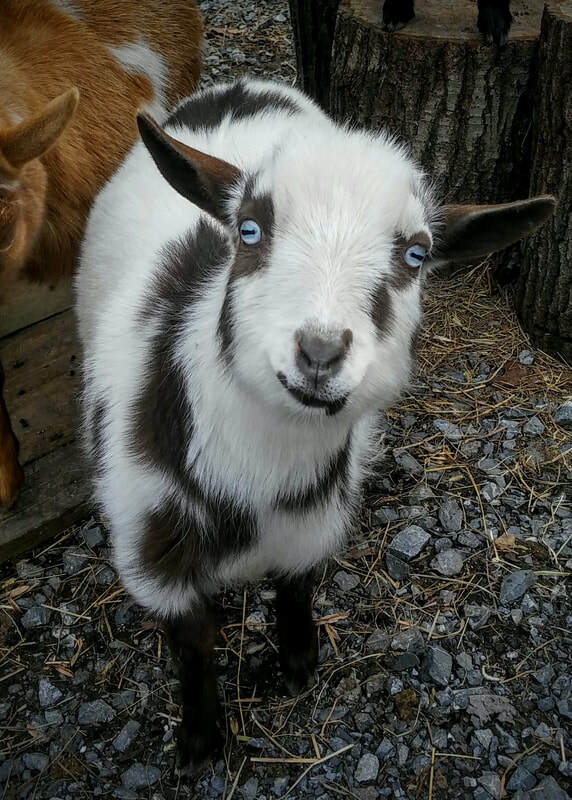 Miss Muffet 4*M's lovely blue eyed buck Gentleman "Jack"